Duke's Zion Williamson will be in action Sunday. @DukeMBB. 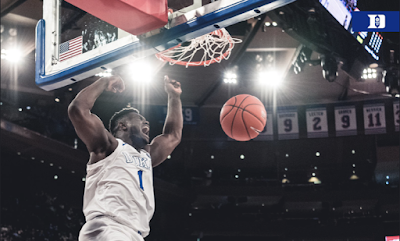 Turner Sports and CBS Sports announced the tip times and matchups for Second Round coverage of the 2019 NCAA Division I Men’s Basketball Championship on Sunday, March 24 (Noon-Midnight ET). The night’s coverage will conclude with Inside March Madness Presented by Buick following UC Irvine vs. Oregon on TBS. Following are the tip times and commentator assignments for Sunday’s Second Round games.